With over 12000 miles of coastline, the United States has no shortage of beaches. As the cold winter continues to drag on we're dreaming of summer sunshine and beach days. Whether you're looking for a romantic spot for just the two of you or a lively resort for the whole family, you'll find it here. Can't decide? Here are our picks for nine U.S. beach vacations to book this summer. There are few U.S. beach destinations more instagrammable than Miami’s South Beach. 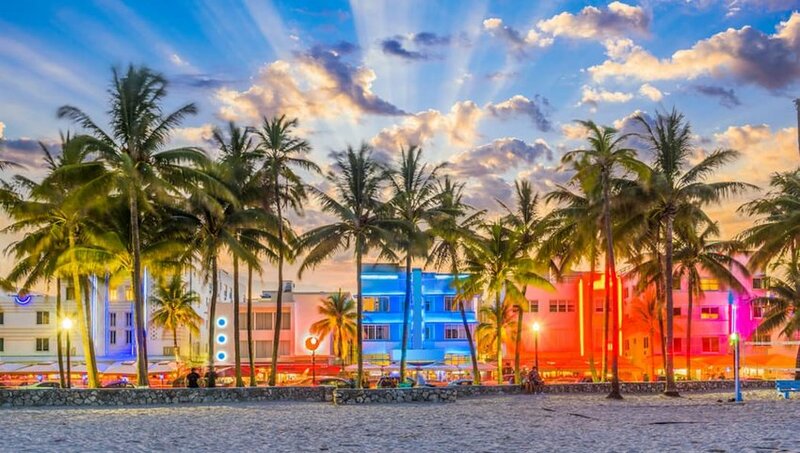 This Florida must-see is packed with Art Deco treasures in a rainbow of shades that will match any ice cream flavor. Wander along Ocean Drive where you’ll find a glut of bars and restaurants perfect for people-watching. Sure, it’s touristy, but don’t let that put you off. This is one beach that will never bore you. 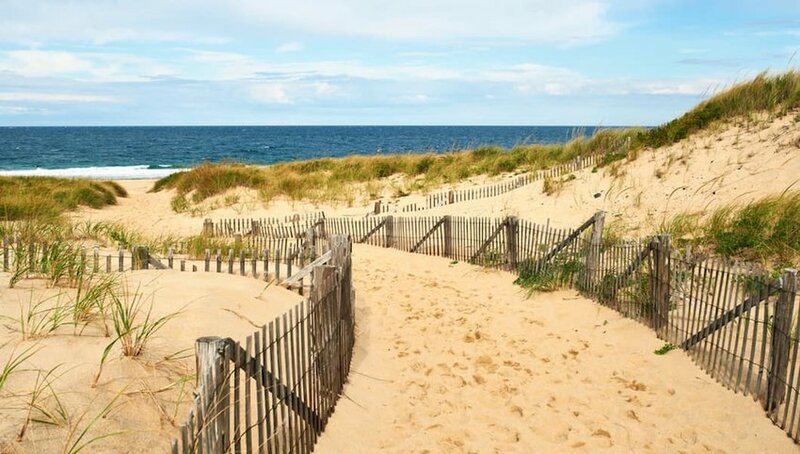 The OBX lacks the glam factor of South Beach but what it has instead is over a hundred miles of sand dunes and seashore. Home to America’s first colony and where the Wright Brothers first took to the air, this is heritage beach tourism at its best. 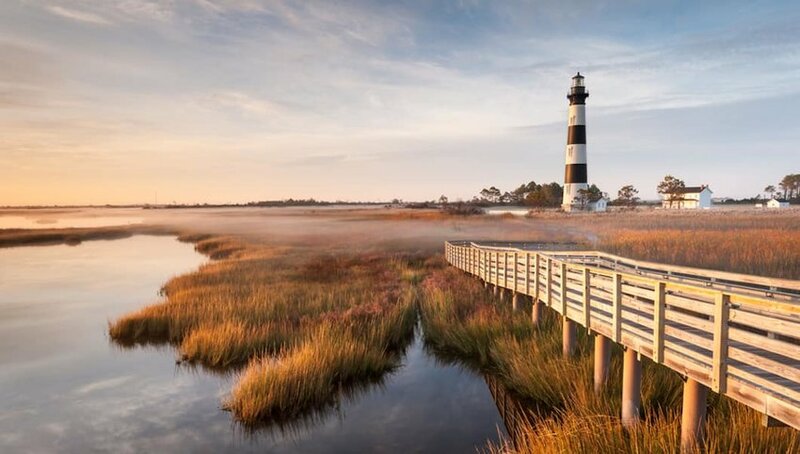 Climb lighthouses, go fishing and see the wild Spanish Mustangs that roam Carova Beach. Just fifty miles from Houston, Galveston marries all the fun of a beach resort with a charming historic business district. 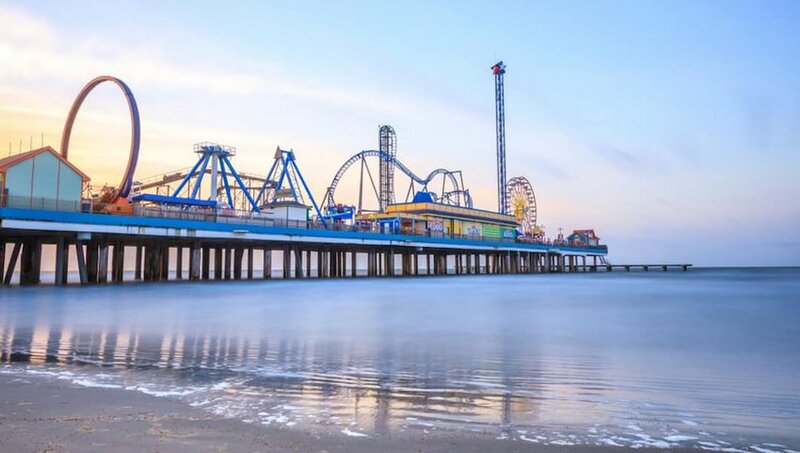 The Pleasure Pier dominates the shoreline, the survivor of several hurricanes that have battered it but only ever managed to leave a temporary mark. In town, the Strand’s many boutiques and cafés occupy nineteenth century buildings such as the 1894 Opera House, still a theatre today. 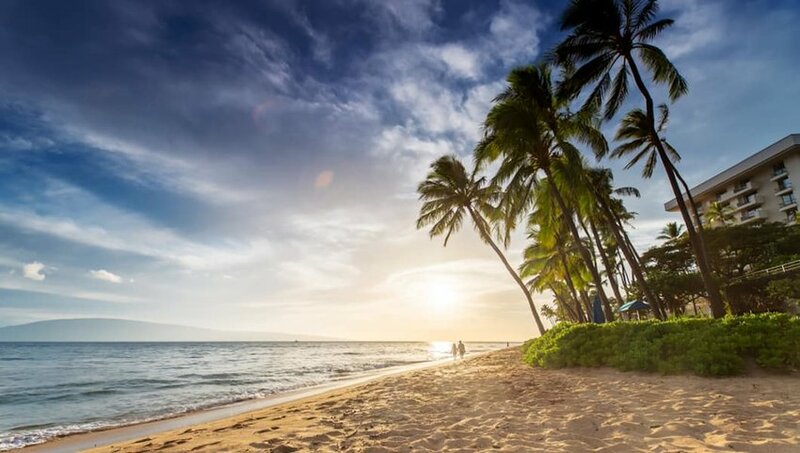 Kaanapali Beach was Hawaii’s first planned beach resort, but with age comes experience and it knows a thing or two about keeping travelers happy. Three miles of white sand lapped by crystal clear waves, two championship golf courses, excellent shopping and dining options are a good start. Though summer’s too early to go whale watching, you will be able to see the traditional cliff dive or “lele kawa” that takes place every evening as the sun sets. Georgia’s Jekyll Island is a delightful barrier island equally easy to reach by car from Jacksonville or Savannah. 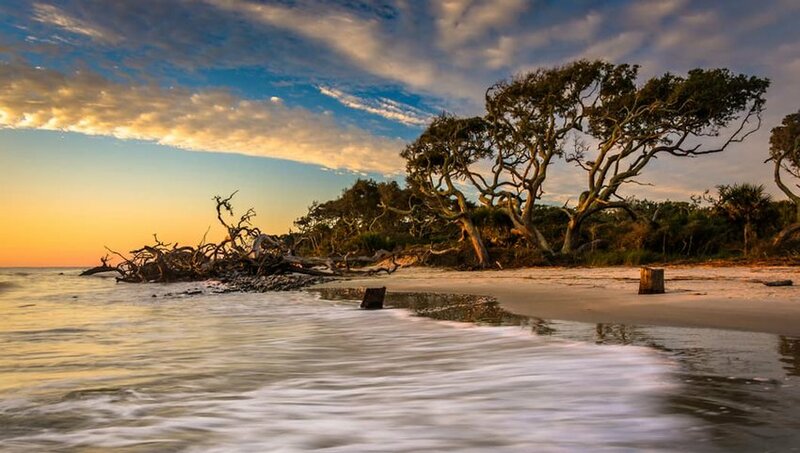 Arguably the most spectacular spot on its 10-mile shoreline is Driftwood Beach, nicknamed Boneyard Beach for the many skeletal trees that litter the sand. The island was once a popular winter retreat for the rich and famous; read their stories in the Jekyll Island Museum. As one of the east coast’s most established resorts, families flock to the Grand Strand to kick back and relax. 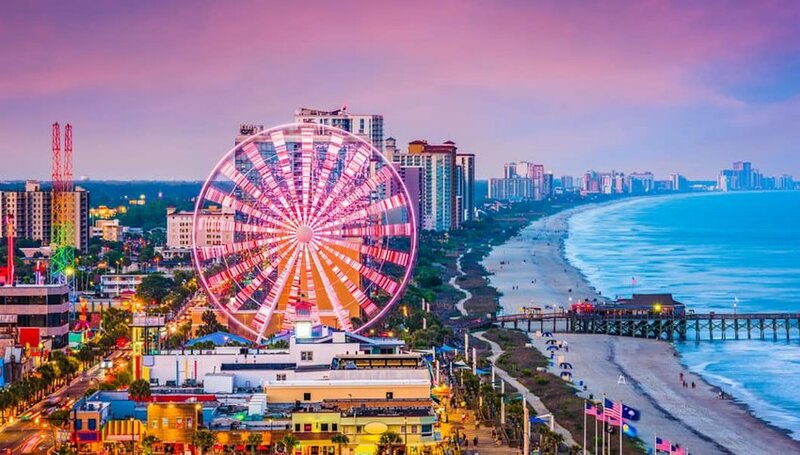 Myrtle Beach has miles of great beaches, a plethora of golf courses, live music most weekends and a host of attractions to suit all ages. Sure, there’s a crowd, but if you’re looking for a beach where there’s always plenty going on, this is the place to head. Cape Cod’s two island gems, Martha’s Vineyard and Nantucket, are the star of the show. Sophisticated towns, peaceful beaches and historic lighthouses abound – no wonder they attract the rich and famous, from Hollywood A-listers to past presidents. In Oak Bluffs, you’ll find the Flying Horses Carousel, the oldest working ride of its kind in the United States. 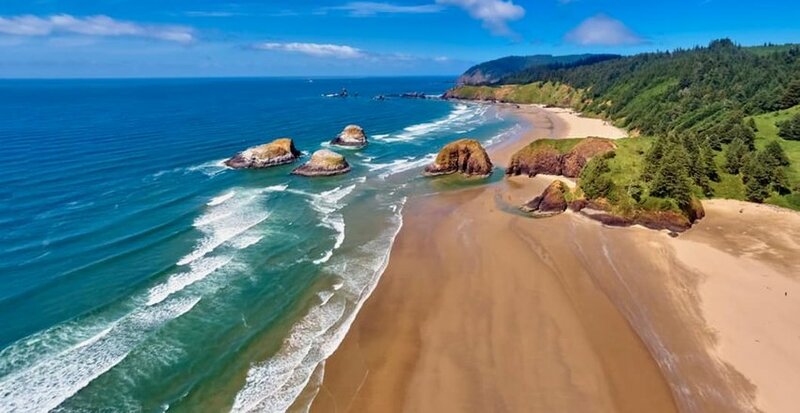 Haystack Rock’s an Oregon icon, its tufted puffins a delight for visitors up to mid-summer, but there’s more to this stretch of west coast than landforms sculpted by erosion from the sea. Inland, herds of elk graze happily in the meadows and in town, art galleries, restaurants and boutiques provide a distraction if you can bear to turn your back on the broad swathes of sand lapped by Pacific waves. 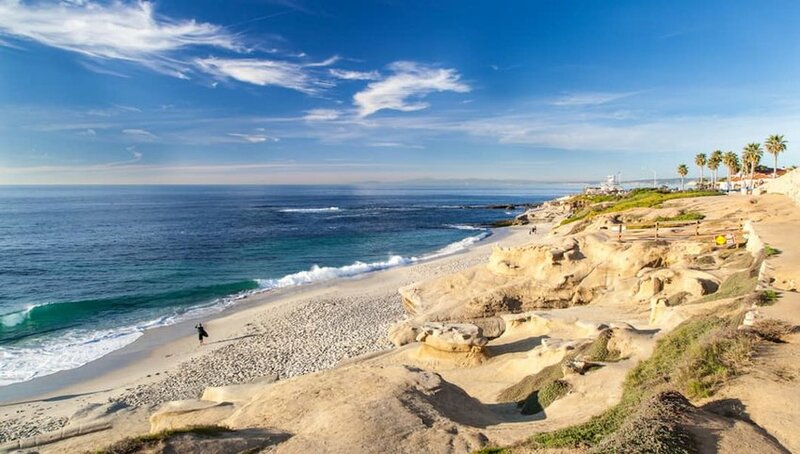 Spanish settlers dubbed this part of the California coast La Jolla, or The Jewel, and it’s aptly named. The resort’s jam-packed with upscale boutiques, fine dining restaurants and some of the best hotels in the state. A wide range of options for water sports matches great beaches – whether you want to kayak, snorkel, dive or just tip your toes into the surf, it’s simply perfect.